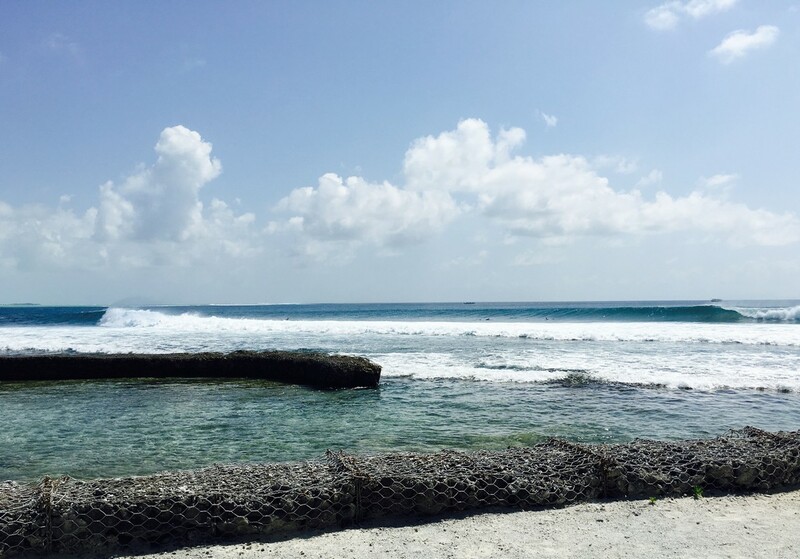 Ex WCT touring professional Sean Holmes took his family to Kandooma Surf Resort in the Maldives and lapped up 10 days of fun, empty perfection at a variety of uncrowded waves. Sean Holmes Interview by Ben Horvath. Sean Holmes was born in 1977 in South Africa and grew up along the Southern Cape Coast where he learnt to surf and enjoy the abundant beach and point breaks in the region. When he finished high school, he went on tour and competed for 5 years in National, World Qualifying, World Championship Tour and Specialty Surfing Events. Over that period Sean was lucky enough to enjoy some incredible results, but more importantly he met wonderful people and was lucky enough to explore some incredible surf locations. Sean also has a Bachelor of Business Science degree with Honours in Marketing from The university of Cape Town. These days he resides less than 50m from the Atlantic Ocean, is married to Jeannie and has two wonderful daughters Ocean and Indi aged 5 and 7. 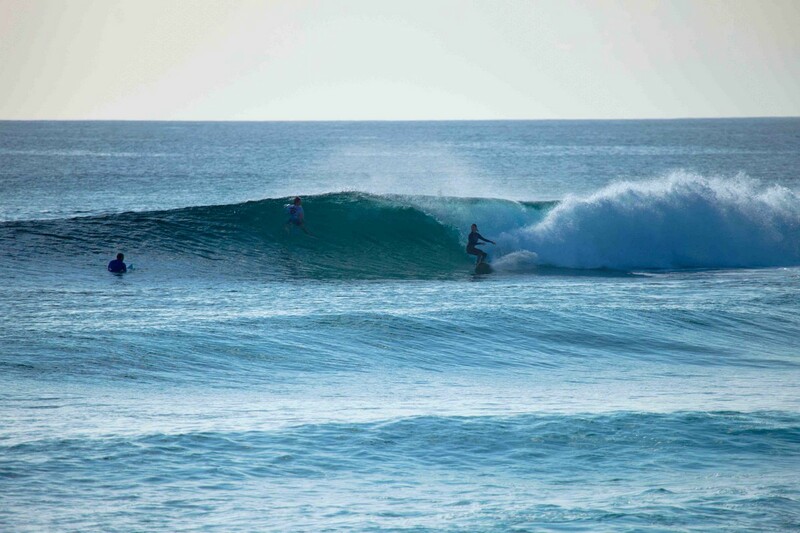 Sean slotted at Kandooma. Wow! Ben Horvath –Sean, you have obviously done a lot of travelling after spending years on tour. What was your first impression of Kandooma? 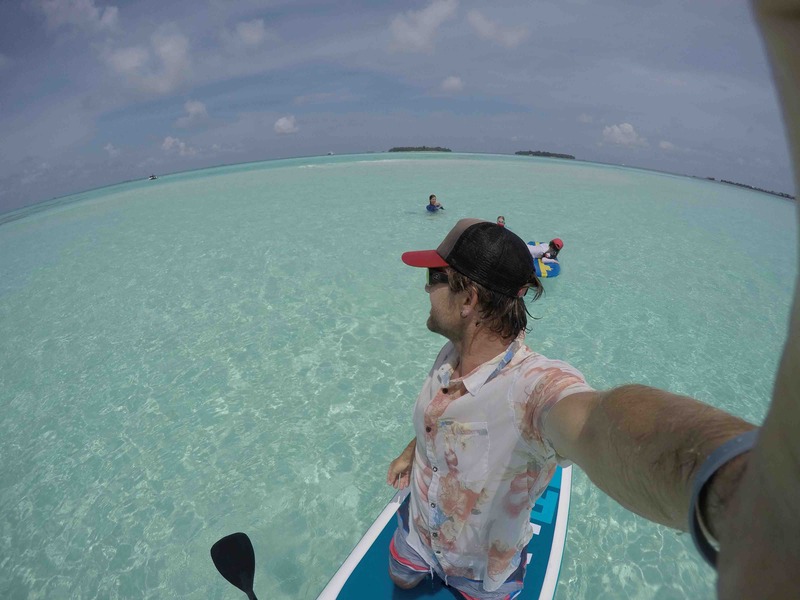 Sean Holmes – This was my first land based trip in the Maldives. All my previous trips to the region have been on chartered boats so I had my reservations about being land-locked for 10 days. I must however say that from the second we were met at Male Airport up until the day we were said good-bye my expectations had far been exceeded. I was impressed at how well the property is run and how efficient all the staff are. On arriving at the island you cannot but be blown away by the location, scenery, overall set-up and presentation. I was very impressed. BH – How were the waves? SH – We scored, the waves were incredible. The day we arrived it was 3-4ft with a building swell. We gave Riptides and Foxy’s a go, both of which are super playful waves opposite each other in a deep channel filled with abundant fish life. For the next 9 days, the swell never dropped below 4-6ft with two days consistent 6ft+ and flawless. Kandooma Right turned on and not too far off around the corner, Foxy’s was doing its thing sending spinning turquoise barrels down the reef one after the other. It was like a wave park – waves everywhere. Crowds were not a factor with no more than 4-6 guys possibly in the line up at any given point in time. 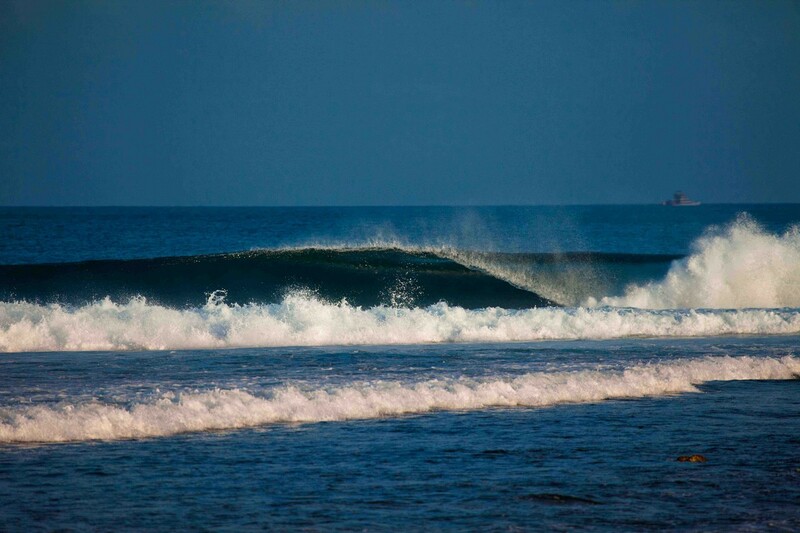 Most early mornings and late evenings I would be surfing all by myself in tropical perfection. BH – How was the variety of waves in the vicinity of the hotel? SH – I was really surprised by the amount and quality of waves within close proximity to the hotel and also by the amazing service offered by the surf guides and supporting staff. 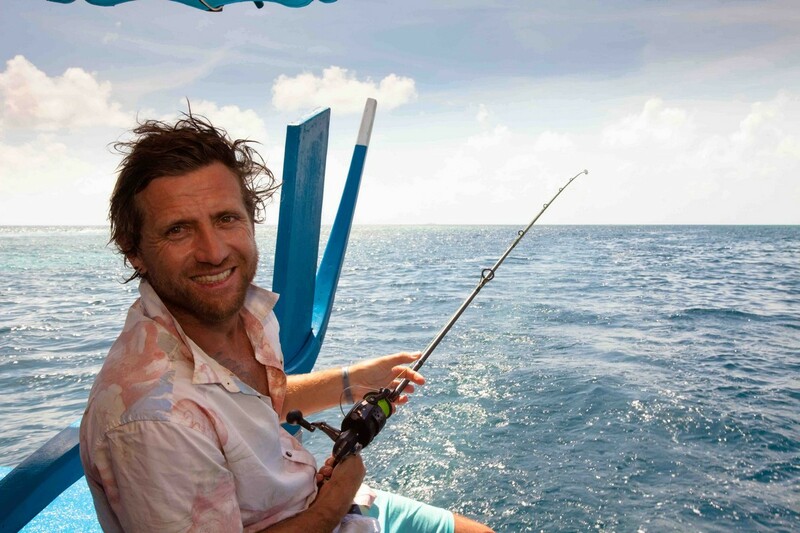 The whole experience felt super chilled but at no point did you ever feel like you might be missing out on good surf or that the guys were not on the ball. The Perfect Wave surf guides have the place wired, are all well coordinated and make life easy for everyone by getting you to right spots on the right tides. During my stay we didn’t have to go further than Riptides & Foxy’s for some variation from Kandooma Right. 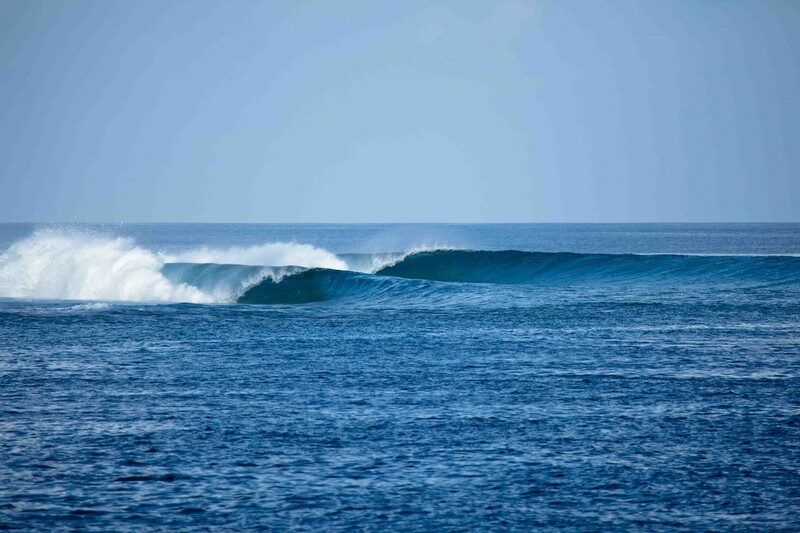 Having done 4 boat charters in the Maldives already, from the North, Central & most Southern Atolls, this was without a doubt the best waves I have experienced along the outer Atolls. 5 mins from Kandooma. Riptides pumping. BH – How was the food at Kandooma? SH – The quality and variety of food at Kandooma was very impressive. We opted for the half board breakfast & dinner buffet. The buffet offering was fantastic and without fail every evening there would be a new array of dishes to explore & taste from. A mix of flavours from India, Thailand, Sri Lanka, Indonesia and of course your more typical western offering made up the spread… Over and above that there is even more restaurants to choose from if you wish to wine and dine and romance a bit. I cannot fault the food at Kandooma. My wife is vegetarian and my youngest daughter lactose/gluten & wheat intolerant and they were more than catered for in the wide selection of food offered. BH –Is Kandooma kid-friendly? Did your family dig it? SH – Kandooma is super kid & overall family-friendly! Probably one of the best family experiences you could ask for. 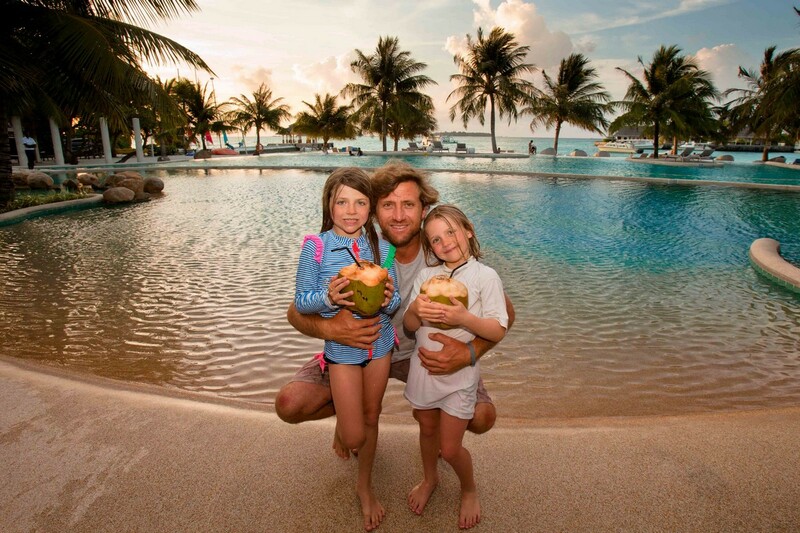 The kids spent almost all their time in the water surfing or diving and with so many additional Hotel sports activities on offer at Kandooma there’s just fun & games 24/7. The kids play centre is also extremely well equipped and staff super friendly and professional. BH – What level of surfer best suits this trip? 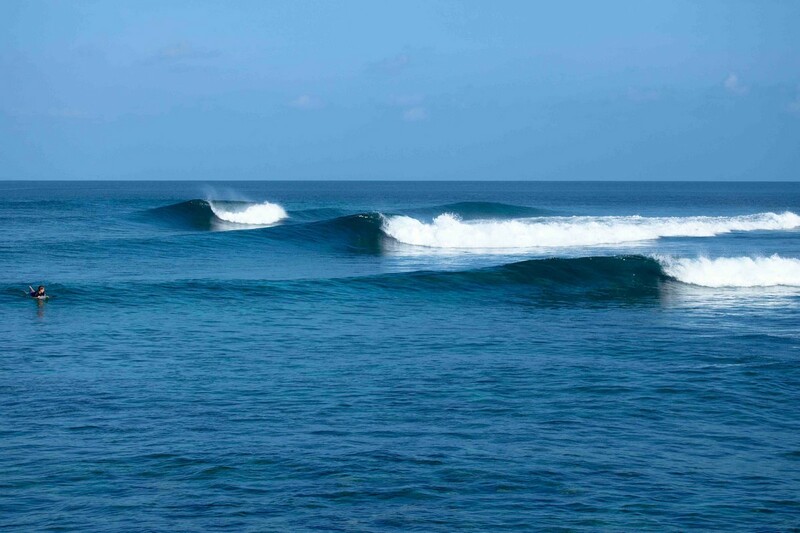 SH – Here’s the beauty of Kandooma – on a scale it can cater for absolute novices right up to a seasoned professional surfer. The variety and quality of waves allows for it and more importantly, everyone has the ability to enjoy a full day surfing at various spots and arrive at dinner in the evening gleaming with surf stoke! 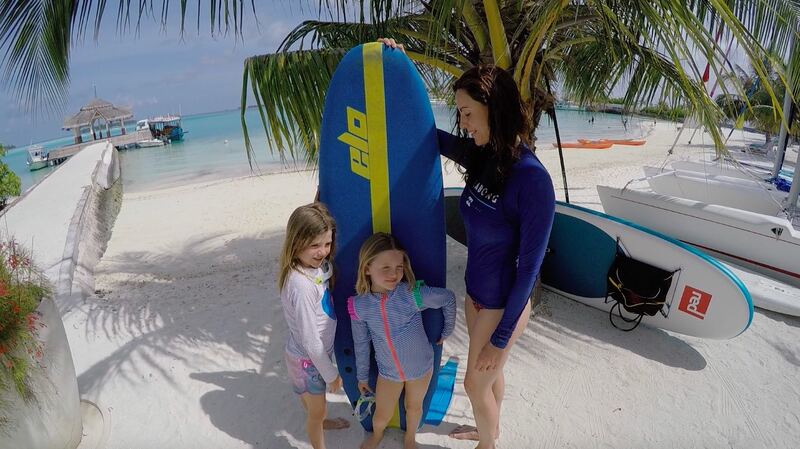 The sand bank out front is the perfect learn-to-surf roll-in wave and even allows for a learner to experience their first ever open-face ride. The setting is beautiful which just adds to that ultimate introduction to the surfing experience. BH – Did your wife enjoy the facilities and surrounds? SH – Jeannie was super stoked with the overall set up. 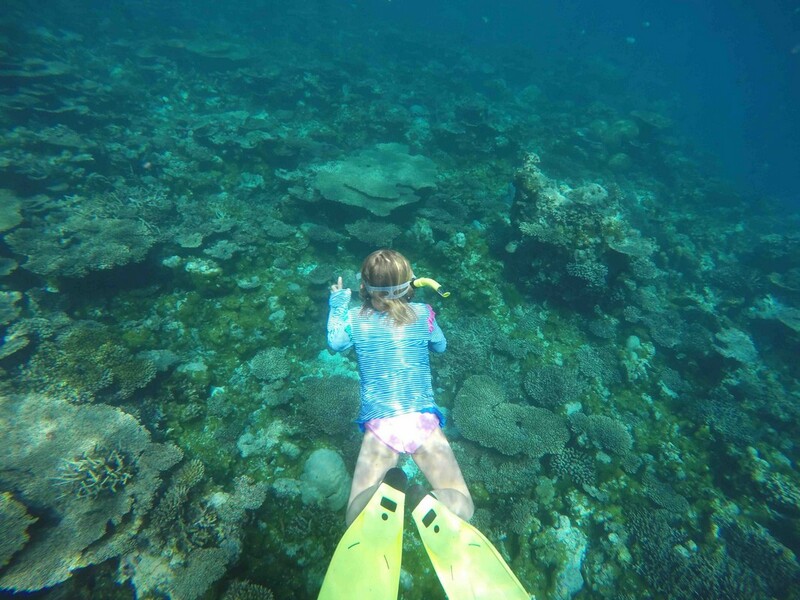 She’s a bit of an adventure junkie with a love for surfing, free-flying, sky-diving and open ocean diving. As a goofy-footer, she got stuck into Foxy’s and just loved the shape and speed of the wave. At one point she had the whole crew on the Dhonni screaming as she weaved through a barrel along the shallow inside section at Foxy’s. In the mornings, she would do some yoga, swim or surf and then late afternoons paddle board through the lagoon. BH – What did you get up to at night? SH – The evenings were very chilled. We were putting good hours in the water surfing, diving, fishing & SUPing so the amazing buffet dinner was always well received but not before at least enjoying a few ice cold beers at the pool deck. Every evening the hotel had some entertainment which kept us all amused. Even the kids had their own specialty entertainment happening. As a parent you could really just sit back, relax and take some time for yourself. BH – What boards do you recommend a surfer take on his/her Kandooma trip? SH – The waves are so perfect you could ride just about anything. I would suggest something a little shorter and more playful. Even when it gets a bit bigger you can still ride your shortboard because the shape of the waves are so perfect. I used a Slater Sci-Fi 5’9” and was more than comfortable across the range of waves and spots we surfed during our stay. A long board & or SUP can also be great fun for some of the softer waves in the area. BH – Any other tips? SH – Book your trip now so you don’t miss out. Its funny because I bumped into so many families & couples all of whom had members of the family who surf and in almost all the instances this was like their 3rd, 4th or even 7th consecutive trip back to Kandooma. It’s that good that after one trip you are likely to keep going back. The vibe and atmosphere is super friendly and chilled. Everyone is having a good time and stoked to be sharing in the overall experience. And the best place to be in October is …..